IDEAL FOR FIRST TIME BUYERS WITH NO ONWARD CHAIN !! HOME ESTATE AGENTS are pleased to bring to the market this well presented mid terrace property situated in the ever popular Gorse hill area of Stretford with great transport links amenaties and local schools. 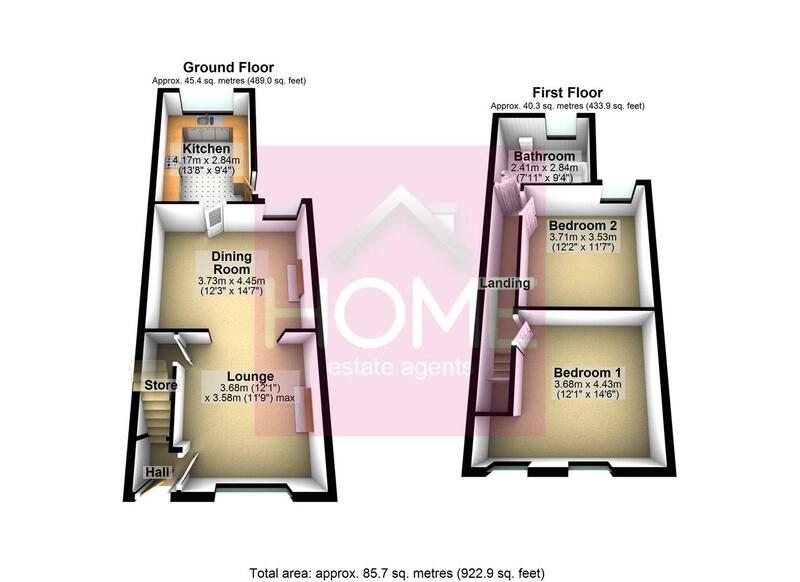 In brief the property comprises of, entrance hall, lounge open plan to dining room, fitted kitchen, to the first floor there are two double bedrooms with a larger than average bathroom. The property benefits from UPVC double glazing and is gas central heated throughout. to the front of the property is a walled palisade and to the rear a lawned garden with patio area. Located in the centre of Gorse hill with great transport links including the Metrolink and M60 motorway network and just a short commute to Manchester City centre, Media city, Salford Quays and the Trafford centre with good local amenities and popular schools. To arrange a viewing call HOME on 0161 871 3939. UPVC double glazed front door with top light leading in. UPVC double glazed window to the front elevation, under stairs storage, electric cupboard and double panel radiator. UPVC double glazed window and door to the rear and side elevations, selection of wall and base units fitted with roll edge work surfaces incorporating a stainless steel sink with mixer tap, tiled splash backs, vinyl floor and double panel radiator. UPVC double glazed window to the rear elevation, three piece fitted bathroom suite comprising of, bath fitted with shower, sink with pedestal, low level W/C, tiled to complement and single panel radiator. To the front of the property is a walled palisade and to the rear a mainly lawned garden with patio area.